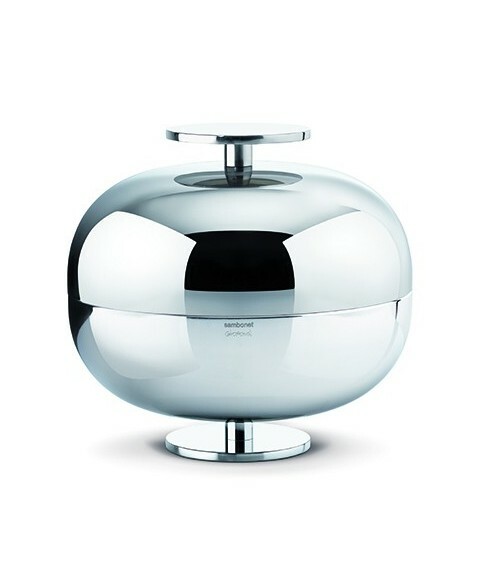 Centerpiece Gio Ponti by Sambonet. Available in numerous versions. 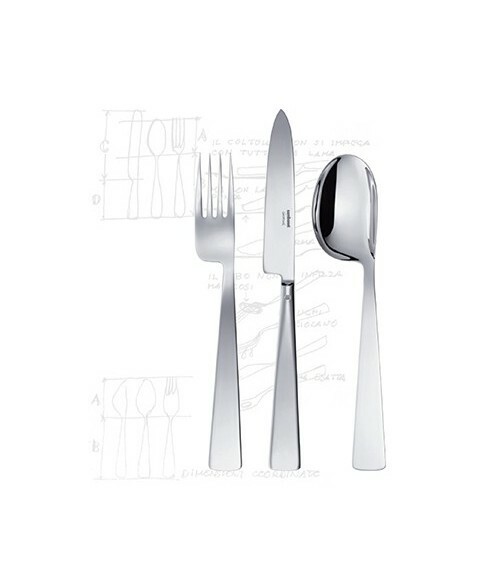 Cutlery set, design Gio Ponti. 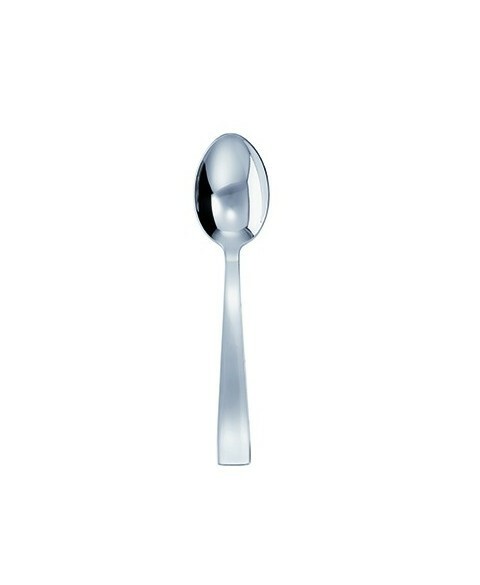 "Knife and short blade with an oblique profile, fork with short teeth and a little concave." Dinner set available in different number of pieces, design Gio Ponti. 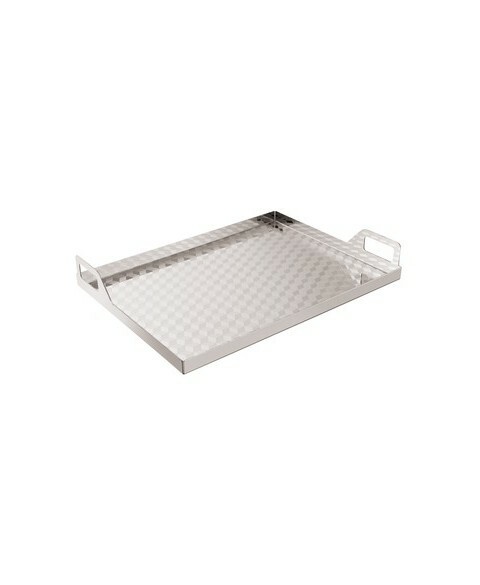 TRAY. 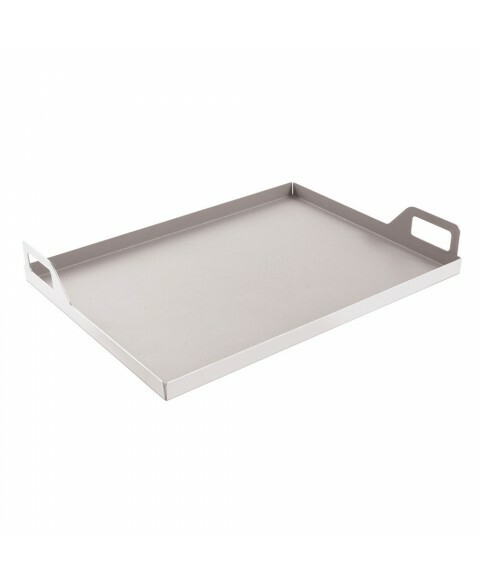 The designer Gio Ponti design courtesy tray rectangular with two easy handles and light steel, available with different finishes.